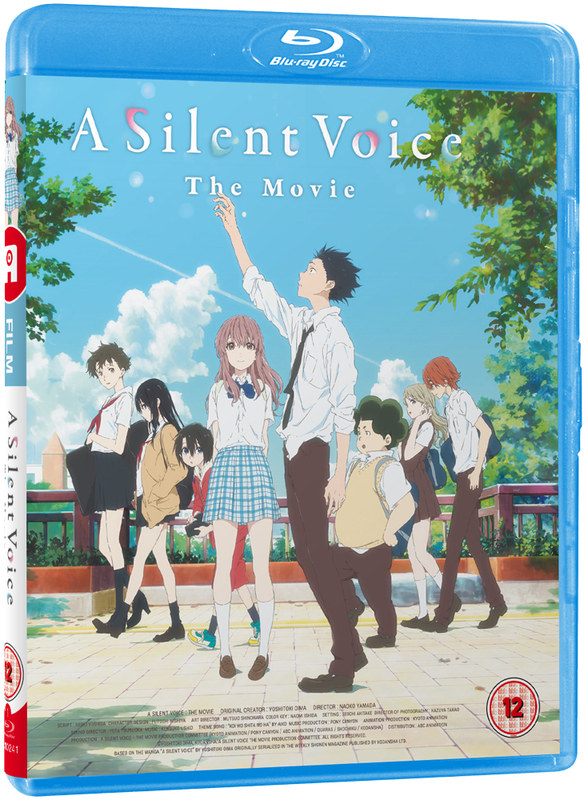 ‘A Silent Voice’ UK Home Video Release Details. Plus English cast announcement! . 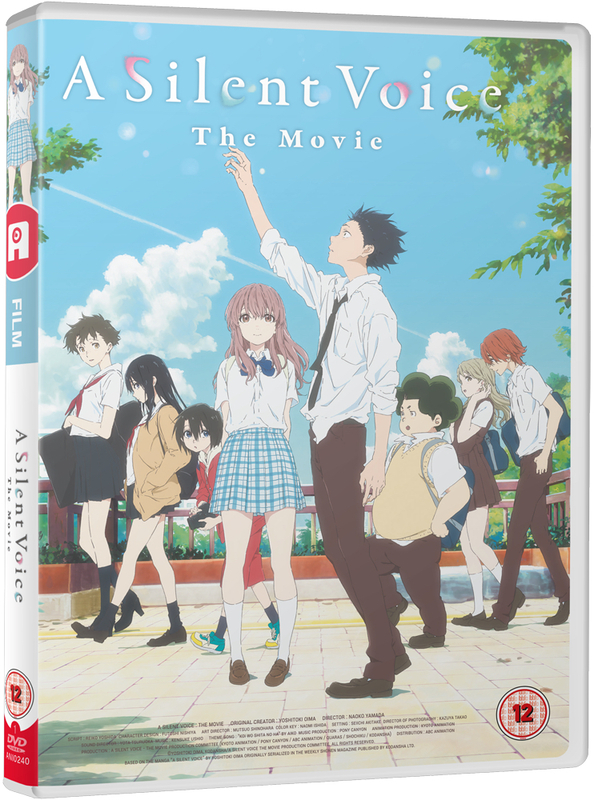 One of the things we’re most excited about with our release of A Silent Voice is the fact that we have dubbed the film into English produced by NYAV Post (Your Name, Napping Princess, A Letter To Momo) so that the many fans who couldn’t or weren’t able to experience the film at the time due it only being available in Japanese with subtitles will now be able to enjoy it again and again. 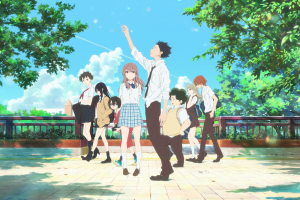 Over the coming weeks we’ll be giving you more previews of the English language version of A Silent Voice; and also worth mentioning that if your in Edinburgh on Tuesday 17th October, it will be the World Premiere screening of the dub at the Filmhouse cinema as part of the Scotland Loves Anime Film Festival. Ticket information HERE. We know a lot of you love the visuals around the film and that you would like to be able to have some of the theatrical style posters as seen in cinemas. There’s been a lot of work behind-the-scenes to see if this would be possible and we’re happy to say we are able to offer special bundle that will be exclusive to our AllTheAnime.com web shop (while stock lasts) where you will receive the Ltd Collector’s Edition set AND also get two A3 posters! The posters are not signed off (at time of writing) which is why they’re appearing as TBC in the image above, but to give you a hint as to what we’re hoping for here, one would (hopefully) be in similar style to our theatrical poster as seen in cinemas around the time of our theatrical release earlier this year, and the other (also hopefully) will be utilising certain imagery that’s featured in the Japanese home video release, that we were not able to include in our home video release. The bundle is simply our Ltd Collector’s Edition version along with the two posters. The posters will be shipped separately in a poster tube in November 2017; the release date of the product itself is 30th October. The reason they will be shipped later is simply due to production time. 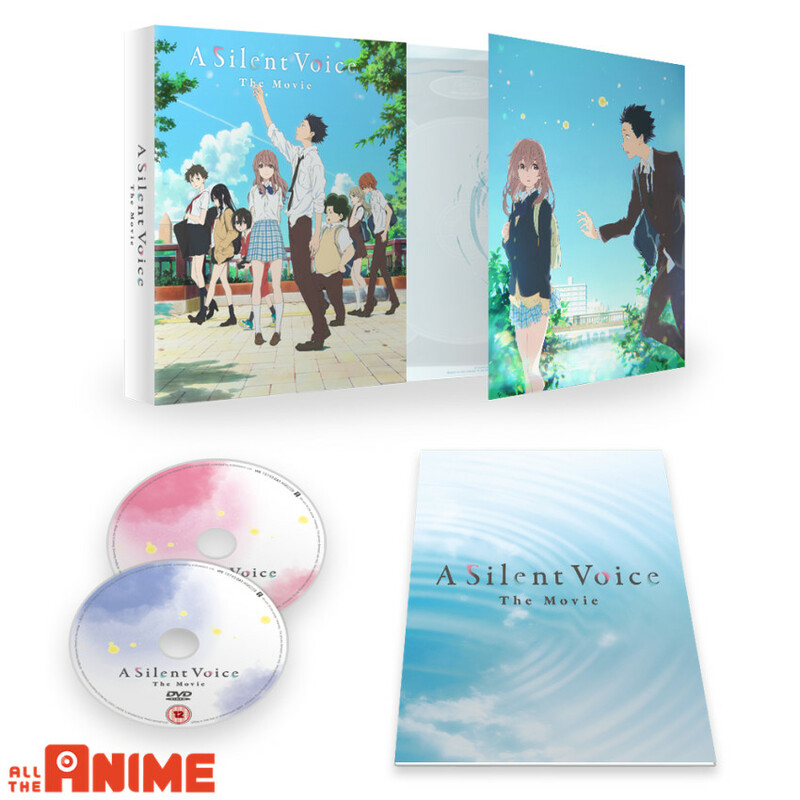 –When is AllTheAnime.com going to start taking pre-orders for A Silent Voice? 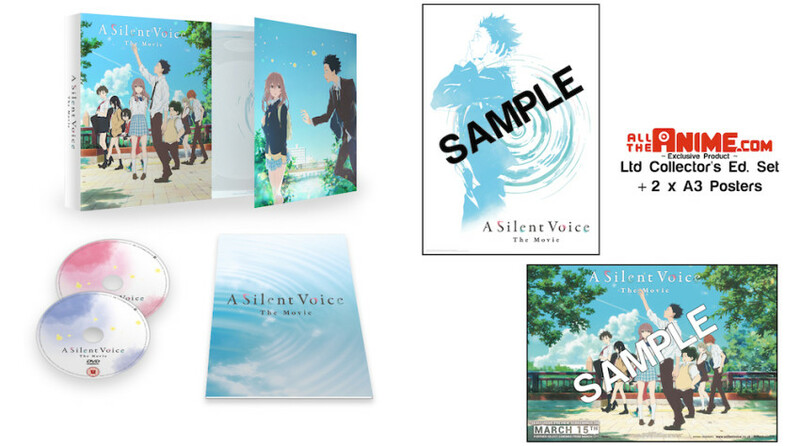 –Is there any way to get hold of the posters that will come with the AllTheAnime.com exclusive version separately? –How will the posters in the AllTheAnime.com Exclusive version be shipped? –Are the Subtitles for the Deaf and Hard of Hearing based on the English or Japanese audio script? If you’ve read this far, then you’re probably as hyped as we are for this release! 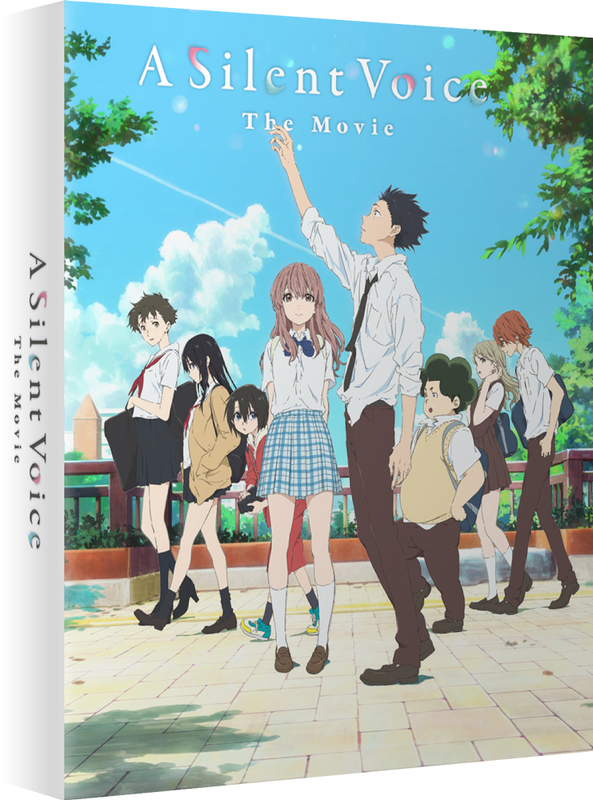 As we said, AllTheAnime.com will be taking pre-orders during the week commencing 2nd October 2017. Will it play on a United States blue ray player?? Or a PS3?